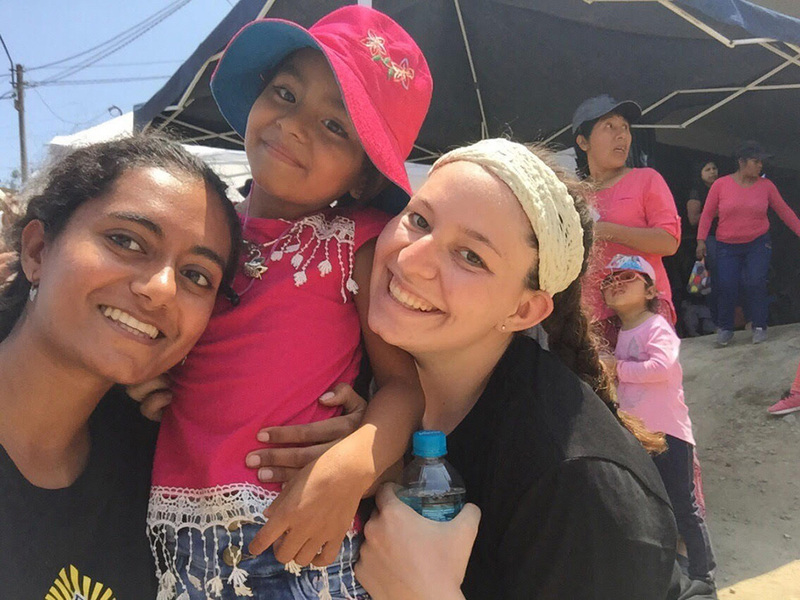 The journey of a Drexel University pre-medical student to Lima, Peru gave her hands-on experience that has propelled her interest in the medical field, while also giving her a new perspective on the importance of global health communication. 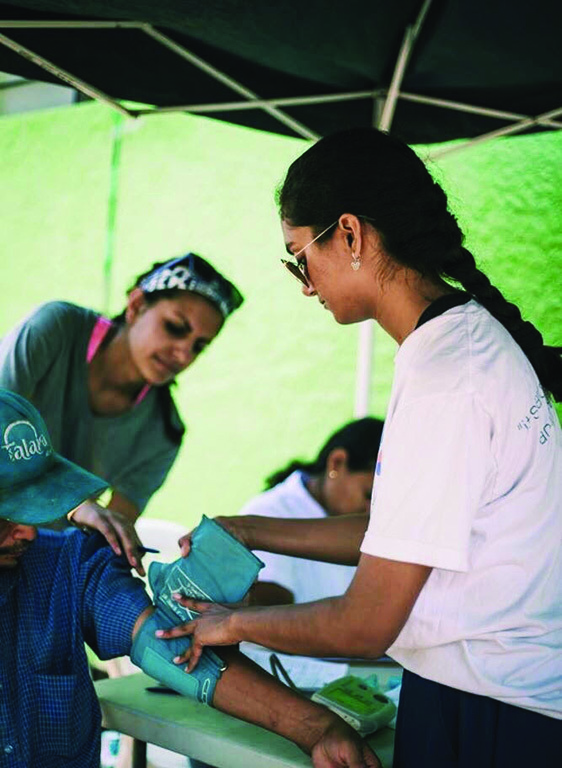 During this international experience that took place during spring break, Bhavya Thuremella spent about a week volunteering through MEDLIFE, a national organization that brings medicine, education and development to low-income communities around the world. In addition to working in clinics, shadowing doctors and assisting pharmacists, her and about 20 other students also educated locals on sexual health and encouraged other healthy habits, according to Thuremella, who helped arrange and recruit for the trip. Her limited credentials did not restrict her from working directly with patients throughout Lima, she said, which in turn, gave her a better understanding of the society and its lack of educational programming. Her favorite part, she explained, was the opportunity to shadow physicians. Thuremella got to work alongside a general physician where she got to listen to heart murmurs, as well as a gynecologist in which she helped examine and diagnose sexually transmitted diseases — an issue that she said is particularly prevalent in Lima since sexual health is rarely discussed. She stressed that there were many gaps within the education system in the parts of the country that she saw. Though there are some smaller educational programs offered, there are not schools like we are used to in the states, she said. Beyond sexual health, she explained that other basic hygiene practices — like teeth-brushing — are also not taught, though the MEDLIFE participants worked with children to promote these habits. This lack of education, she explained, is partly due to the mountainous terrain of Lima that sometimes results in lethal falls, which ultimately acts as a deterrent to navigation throughout the villages. Thuremella and the other participants also worked on an additional development project that involved building a staircase to help natives maneuver the rocky landscape more easily. In addition to the natural environmental barriers, Thuremella explained how there was also little governmental intervention in Lima. This not only results in poor health communication, but also contributes to greater discrepancies between social classes. In fact, Thuremella described a literal wall that separates the rich and the poor of Lima. “On one side you saw all this greenery, bigger houses and land, and right across the wall — just feet away — there were compact houses, shacks and underdeveloped areas,” she described. Though her time in Lima was short, Thuremella — who aspires to one day be an oncologist or neurologist — explained how it has yielded a vast impact on her studies relating to the medical field. She now also delves into her coursework back at Drexel with a different perspective, in which she can draw more parallels between health systems in the United States and what she experienced in Lima. “It’s interesting relating it back to what I saw in Peru,” she said. Beyond her volunteer efforts, she also got to explore life in Peru and there was even a dedicated excursion for the participants, which included a sunrise boat tour, sandboarding and wine tasting. 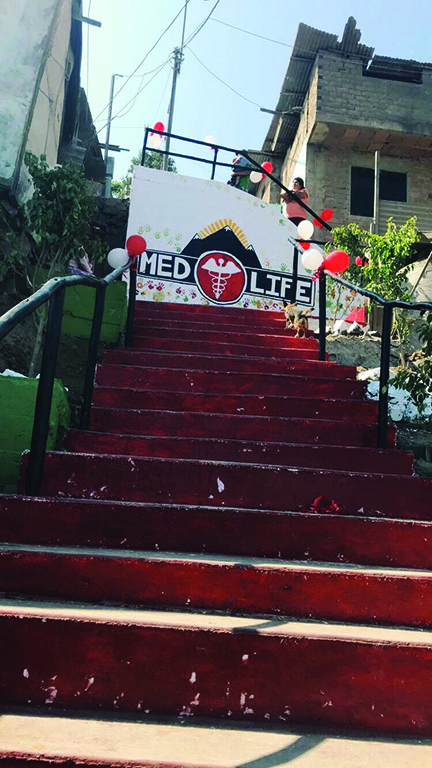 As MEDLIFE’s first time undergoing an international experience program, Thuremella said it was very successful, though she said it’s just the start for the organization, which has only been on Drexel’s campus for a little over a year. “We’re planning on going to a new location every year,” she said. This year, the group will be returning to Peru, but this time, they will be completing volunteer efforts in the city of Cusco. For Thuremella, the program did not count for credit, though she explained how this is likely to change as the program develops in the future. Overall, she hopes the program can continue to grow and she encourages interested students to get involved.